China Unicom is testing ZTE’s 5G prototype smartphone in a 5G field trial in Shenzhen. The test is fully verifying the 5G network equipment’s networking capabilities, special services, roaming and interconnection, and the inheritance of existing services in phases, thereby laying a solid foundation for the 5G whole network commercial construction. 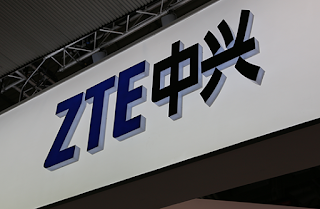 ZTE said the Shenzhen testing represents the world's first commercial test field to make the first call in the NSA mode and in compliance with the 3GPP Rel-15. The Shenzhen test adopts ZTE’s 5G end-to-end solution, including radio access network, core network, transport network and intelligent device, and 5G prototype smartphone. Nokia and China Unicom deployed a private LTE network for a BMW Brilliance Automotive Ltd plant being built in Shenyang, Liaoning province, China. A Nokia virtualized Multi-access Edge Computing (vMEC) solution integrated with China Unicom's 4G network will provide low-latency support for smart manufacturing activities at the plant. By deploying the Nokia MEC platform on site, the secure LTE network is able to process data closer to where it is being used, delivering an ultra-responsive experience for business-critical applications. Once integration with the enterprise network is complete, the private LTE network will support secure voice and data communication between staff at the plant as well as machine-to-machine communication including wireless video monitoring, production line maintenance inspection, indoor navigation, industrial robots and indoor navigation. China Unicom reported 1H2018 service revenue of to RMB134.4 billion, representing an 8.3% year-on-year growth, topping rivals China Mobile and China Telecom. EBITDA amounted to RMB45.7 billion, up by 4.9% year-on-year. The profit before income tax reached RMB7.8 billion and the profit attributable to equity shareholders of the company increased by 145% year-on-year to RMB5.9 billion. China Unicom attributed its improving condition to the mixed ownership reforms undertaken one year ago at the behest of the central government. China Unicom has been increasing its level of collaboration with Tencent, Alibaba, Baidu, JD.com and DiDi, especially in outreach areas for the youth market. Mobile billing subscribers achieved a net increase of 17.86 million, reaching a total number of 302 million mobile billing subscribers. Mobile ARPU amounted to RMB47.9, which was largely stable compared to the full year of 2017. The 4G subscriber base saw a net increase of 28.23 million in 1H2018 to a total of 203 million. The 4G subscriber market share was up by 3 percentage points year-on-year. Fixed-line broadband access revenue amounted to RMB21.5 billion, which was largely stable compared to the same period last year. The number of fixed-line broadband subscribers increased by 2.38 million on a net basis to 78.92 million. Video service subscribers accounted for over 43% of the fixed-line broadband subscribers, up by 10 percentage points year-on-year. Huawei sealed a 5G strategic partnership agreement with China Unicom. Financial terms were not disclosed. As part of the partnership, Huawei and China Unicom will fully leverage their respective innovative strengths in 5G and focus on cooperation in E2E 5G technical verification, cooperation with vertical industry partners, building of the 5G ecosystem, and 5G service incubation and promotion. "A decade ago, network evolution from 2G to 3G brought dramatic changes to the mobile Internet,” said Shao Guanglu, Vice President of China Unicom Group. “The next decade will witness 4G evolution to 5G. 5G technologies will usher in a fully-connected, intelligent world, in which there will be a faster and more extensive industrial revolution. China Unicom and Huawei will continue to deepen their cooperation in the 5G domain, focusing on 5G networking and business ecosystem construction to drive 5G development and the prosperity of 5G ecosystems and create a better-connected 5G world." "5G will be the cornerstone of a fully connected, intelligent world. Integrated innovation of industry + technology + applications will drive the development of 5G. Huawei will continue to innovate in 5G technical solutions and applications and work with China Unicom to jointly build the 5G ecosystem alliance. We are committed to partnering with all industry players to pave the information highways of the digital era," Ryan Ding, Huawei's Executive Director and President of Huawei’s Carrier Business Group. China Unicom and Huawei agreed to jointly carry out research, demonstration, and application of 5G network slicing, develop key technologies and solutions for China Unicom's 5G network slicing services and applications, jointly promote industry chain development, and apply slices to more vertical industry markets, such as VR/AR games, industrial control, Internet of Vehicles (IoV), and the Internet of Things (IoT). China Unicom has selected Nokia to supply its Flexi Zone small cells and an AirScale low power radio head for deployment in 31 provinces in China. Nokia will leverage its global services expertise to optimize small cell deployments for China Unicom, including network planning and optimization, equipment commissioning and care in warranty services. Financial terms were not disclosed. Nokia provides the ability to upgrade the small cell portfolio via software to deliver narrow-band IoT (NB-IoT), enabling support for sensors for the delivery of many smart city services, including smart transport and metering systems as well as the introduction of smart healthcare. China Unicom has gained or migrated approximately 55 million subscribers to 4G this year for a total of 160 million. China United Network Communications Group (China Unicom or 中国联通), the fourth largest mobile operator with over 270 million subscribers, recently closed a deal that will bring in US$11.68 billion in cash from top Chinese tech companies. Under the deal, the Shanghai-based holding company of China Unicom, will sell a 35.2% stake worth RMB 78 billion to 14 strategic investors, including the following. The deal is backed by the Chinese government, which holds a significant stake in the China Unicom group and its various listed companies, as part of a wider effort to encourage private investment in state-owned enterprises. In this case, the multisided arrangement between China's biggest tech companies also ties the largest players so that their financial interests are closer aligned. After the investments are completed, by way of both new and old share sales, the state will hold approximately 25% of the new China Unicom A shares. While China Life is expected to invest the large amount, the deal is interesting mainly for the synergy it could generate with the Internet companies. There has already been word from Tencent that a special broadband card option will be available to China Unicom's mobile users giving the unlimited access for Tencent applications. In mobile subscriptions in China, Unicom holds second place, far behind China Mobile but ahead of China Telecom. In fixed-line broadband, China Unicom trails behind its two rivals. As seen from China Unicom's 1H2017 financial results (highlighted below) competition is fierce between these top three operators. In the first half of 2017, China Unicom’s service revenue reached RMB 124.11 billion, up by 3.2% year-on-year. EBITDA amounted to RMB 43.56 billion, up by 5.5% year-on-year, and accounted for 35.1% of the service revenue, up by 0.8 percentage point year-on-year; and profit attributable to the equity shareholders of the company increased by 68.9% year-on-year to RMB 2.42 billion. • Total handset data usage for 1H2017 soared 326% over 1H2016, reaching 2,522 MB (monthly average mobile billing handset subscriber DOU. • Handset Internet Access Revenue for 1H2017 reached RMB 42.90 billion, up 22.9% yoy. 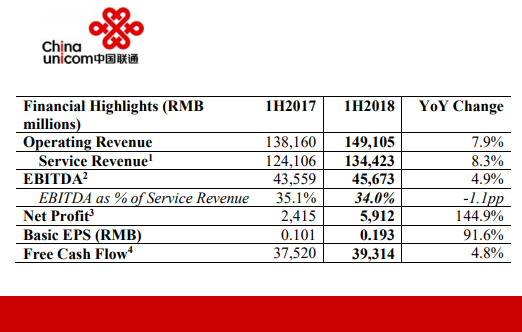 • Fixed-line service revenue (including legacy voice) was RMB 46.57 billion, basically flat yoy. • Fixed-line broadband access revenue amounted to RMB 21.56 billion, down by 3.0% year-on-year. The number of fixed-line broadband subscribers increased by 4.0% year on-year to 76.92 million. • Accelerating mobile customer migration onto the 4G LTE network. In the first half of the year, Unicom added 34.26 million 4G subs, bringing it to 138.81 million out of a total customer base of 269.45 million, which means that about 52% of its customers are using the 4G network and 48% remain of 3G or 2G service. The migration is slower than seen by other operators worldwide, but the subscriber base to migrate is much higher, China is a huge country, and subscribers have to agree to a substantially more expensive monthly package. China Unicom’s 4G ARPU is RMB 66.50 (US$9.97) vs the company’s overall mobile ARPU of RMB 48 (US$7.19). • The 4G network rollout is mostly done. In 2016, China Unicom installed 337,000 4G base stations bringing it to a total of 736,000 4G base stations in service. • To drive ARPU, China Unicom is pushing subscription packages based on a “data + content” model. A recently launched “Unlimited Video Enjoyment”. WO Video, already has about 16 million subscribers. China Unicom will focus on differentiated video partnerships. • China Unicom claims to be the 2nd largest Internet data center operator / cloud provider in China. It has 12 national-standard cloud data centres in operation with approximately 122,000 data cabinets in services. China Unicom also has some 300 “local data centers”. Revenues for IDC/Cloud for 1H2017 reach RMB 5.80 billion, up 22% yoy. • China Unicom now has a pre-commercial NB-IoT network in operation. • In fixed-line home broadband, China Unicom reports that it has encountered extremely intense competition. For 1H2017, fixed-line broadband access revenue fell to RMB 21.557 billion from RMB 22.231 billion a year earlier. To counter this, China Unicom is again looking to pull more subscribers unto fiber access, and to feature IPTV with enriched content package to drive differentiation. Another interesting dynamic in this deal is that China Mobile and China Telecom is that the government pushed for this investment deal with China Unicom first. The new investment and the commercial partnership could become a strategic advantage for China Unicom if the other two carriers fail to secure similar deals. In terms of finishing the 4G rollout or beginning the 5G construction, the new cash will be advantageous. Special bandwidth + bundling arrangements with Tencent and Alibaba could be alluring. The investment deal involves only private Chinese companies, so in this stage of reform, China is not acting to further open its telecom market to foreign investment. China Unicom has had an ongoing partnership with Telefónica for many years. A strategic alliance between the firms began in 2009 when China Unicom and Telefonica invested US$1 billion in the other party's shares. In 2011, the companies deepened their cooperation by investing the equivalent of US$500 million in the other party through the purchase of each party's shares. China Unicom raised its stake in Telefonica through the acquisition of 21,827,499 Telefónica shares at an agreed value of 17.16 Euros per share. In turn, Telefonica was to buy more shares in China Unicom from third parties. Since then, the companies have collaborated in technical research and in network interconnections. More recently, Telefónica has sold some of its China Unicom shares. Its current holdings in China Unicom are probably under 2%. In terms of overseas investments or strategic expansion China Unicom, like China Mobile and China Telecom, has pretty much abstained from large scale venture or acquisitions. Whereas carriers like Vodafone, Orange, Zain, MTN, NTT, Bharti Airtel or Singtel, have ventured widely into all of the countries of Asia and Africa, China Unicom has kept its focus only on its home turf. With the reduced government equity stake in the company, perhaps this will begin to change but it is too soon to know. Another area to watch with this transaction involves network management. As it brings on strategic content partners, like Tencent, China Unicom will be incentivized to ensure that subscribers get assured access to bundled programming and applications. China Unicom commercially launched a Gigabit LTE network. On August 23, passengers on a Hainan Island high-speed train were able to watch the lauch ceremony via LTE broadcast over the Gigabit wireless network. Ericsson, as China Unicom's strategic partner, is the exclusive provider of the LTE broadcast solution, which is China's first LTE broadcast commercial deployment. Ericsson also provided the Gigabit LTE network upgrade. ZTE announced that it has supported China Unicom as the operator conducted its first 5G NR (New Radio) field test based on its pre-commercial 5G base station at sub 6 GHz and featuring massive MIMO, LDPC (low-density parity check) and other key 5G technologies. During the trial China Unicom achieved data rates of up to 2 Gbit/s for single user-equipment. The 5G NR field test carried out in Shenzhen used the 3.5 GHz frequency band with a 100 MHz bandwidth, and was conducted by ZTE working with the Guangdong branch of China Unicom and the operator's network construction department and the China Unicom Network Technology Research Institute. The field test was designed to verify the 5G technical performance and product commercial capabilities in a live network environment and builds on the established partnership for 5G network development between China Unicom and ZTE. In 2016, China Unicom launched a 5G laboratory to verify the feasibility of potential key technologies and accelerate the development of 5G base station designs and platforms. Following the start of 5G field testing in 2017, China Unicom is expanding its efforts for verification, with a goal of achieving pre-commercial 5G network deployment in 2019 and a large-scale roll-out in 2020. ZTE noted that earlier in 2017, it initiated the development of NOMA (non-orthogonal multiple access) technology at 3GPP, representing a core project for 5G NR. ZTE is also involved in China's national 5G tests, having completed testing in seven major scenarios, and was first to complete mMTC field tests in Phase 2 of the program. 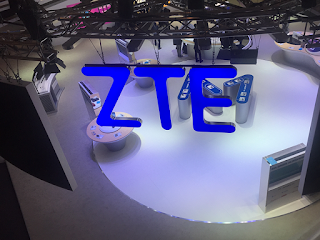 In April this year, ZTE announced that it was implementing mobile edge computing (MEC) pilots and technical verification trials with China Unicom, China Telecom and China Mobile, ahead of plans to deploy the technology commercially in 2018. ZTE noted that it launched MEC pilots in collaboration with China Telecom, China Mobile, and China Unicom during 2016. Cavium, a provider of semiconductor products for enterprise, data centre, wired and wireless networking, and China Unicom announced a targeted program for the testing of 5G use cases on a M-CORD SDN/NFV platform leveraging Cavium's silicon-based white box hardware in M-CORD racks populated with ThunderX ARM-based data centre COTS servers and XPliant programmable SDN Ethernet-based white box switches. Under the program, China Unicom and Cavium plan to shortly commence trials in a number of locations across mainland China to explore the potential of the new service. 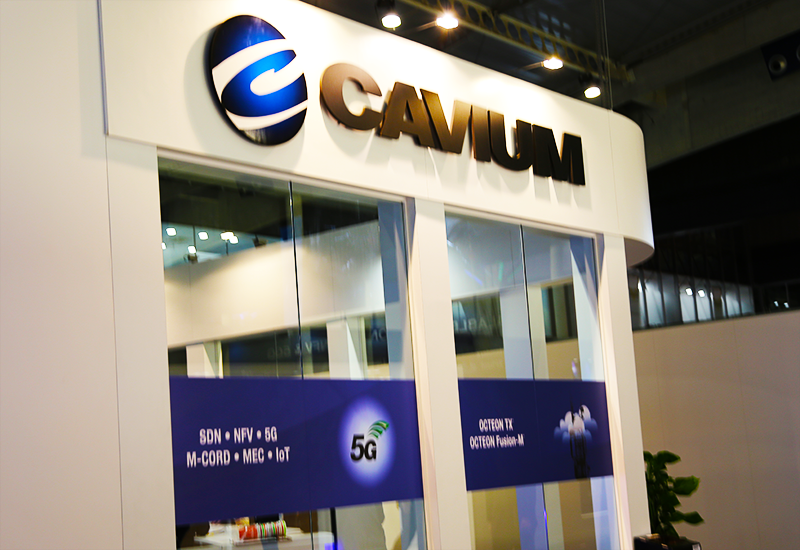 Cavium and China Unicom are specifically demonstrating multi-access edge computing (MEC) use cases developed through a previously announced collaboration based on the ON.Lab M-CORD (Mobile Central Office Re-architected as a data centre) SDN/NFV platform at the Mobile World Congress (MWC) Shanghai. The demonstration involves a M-CORD SDN/NFV software platform and hardware rack integrated with virtualised and disaggregated mobile infrastructure elements from the edge of the RAN to distributed mobile core and the ONOS and XOS SDN and orchestration software. The companies stated that this architecture is designed to enable turnkey operation in any central office or edge data centre for a full NFV C-RAN deployment. The solution is based on a Cavium-powered rack that combines the ThunderX ARM based data centre servers with the programmable XPliant Ethernet leaf and spine SDN switches to provide a full platform for M-CORD. Regarding the latest project, Raj Singh, VP and GM of the network and communication group at Cavium, said, "Cavium is collaborating with China Unicom to explore 5G target use cases leveraging the M-CORD SDN/NFV platform and working towards field deployment… a homogenous hardware architecture optimised for NFV and 5G is a pre-requisite for field deployments". Earlier this year, Radisys and China Unicom announced they had partnered to build and integrate M-CORD development PODs featuring open source software. 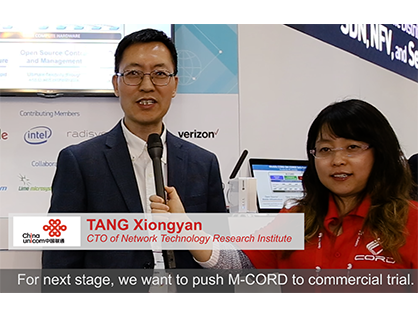 For the project Radisys, acting as systems integrator, used the CORD open reference implementation to enable cloud agility and improved economics in China Unicom's network. The companies also planned to develop deployment scenarios for the solution in the China Unicom network. The resulting platform was intended to support future 5G services by enabling mobile edge services, virtualised RAN and virtualised EPC. The companies also planned to develop an open reference implementations of a virtualised RAN and next-generation mobile core architecture. 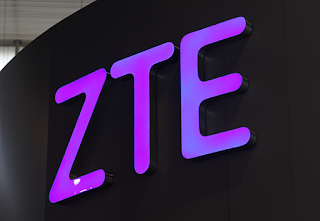 ZTE announced that it is implementing mobile edge computing (MEC) pilots and technical verification trials with major carriers China Telecom, China Mobile and China Unicom, ahead of plans to deploy the technology commercially in 2018. ZTE stated that it launched MEC pilots in collaboration with China Telecom, China Mobile, and China Unicom during 2016. Specifically, it worked with China Telecom company Ningbo Telecom on a campus network to implement local traffic offloading. In addition, in Beijing and Zhuhai ZTE and China Mobile conducted an indoor positioning project. ZTE also carried out smart parking projects leveraging MEC and narrow band IoT (NB-IoT) technology in the city of Ningbo. Additionally, At MWC Shanghai 2016, ZTE demonstrated a 5G MEC-based virtual reality (VR) service in partnership with China Unicom. ZTE noted that it has developed a suite of MEC solutions that encompasses core technologies and patents spanning areas such as virtualisation, container, precision positioning, shunting and close-to-user content delivery network (CDN). ZTE also provides an integrated 4G/5G MEC solution with network slicing capability. The solutions are designed to address multiple scenarios, including service localisation, local caching, Internet of Vehicles (IoV) and Internet of Things (IoT). MEC technology integrates wireless networks and the Internet and implements computing, storage and processing functionality on the wireless network side, while open APIs enable data exchange between the wireless network and service processing servers. This allows carriers to reduce the load on the transmission network and process information more quickly at base stations, improving efficiency and services to end users. In June 2016 at MWC Shanghai, ZTE and China Unicom demonstrated a MEC solution for 5G based on cloud-aware, soft-network architecture. ZTE displayed an integrated solution featuring its QCell indoor coverage and MEC products designed to enable big data applications. Earlier in 2016, ZTE and China Mobile showed a joint 5G-oriented network architecture and network slice prototype system that utilised the latest generation Intel Xeon processor. The prototype system featured 5G network function componentisation and requirement-based orchestration and enabled dynamic 5G applications network slices including for mobile broadband (xMBB), IoT and MEC. Nokia announced that it is conducting a live trial in China Unicom's commercial network using the Nokia Virtualized Services Router (VSR) and involving more than 5,000 residential subscribers, designed to enable China Unicom to simplify and accelerate the delivery of broadband utilising a new flexible network based on virtualised network functions (VNFs). The initial trial with China Unicom is being carried out in the Chinese province of Shandong, with plans to expand to the other parts of the country over the next two years as it moves to the next phase, which will include delivery of IPTV services. 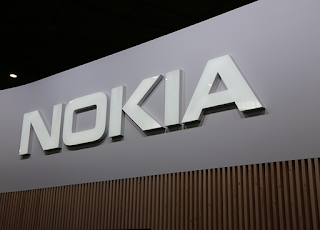 Nokia noted that China Unicom is adopting software defined networking (SDN) and network functions virtualisation (NFV) to enhance efficiency and increase flexibility, openness and scalability as it evolves to a cloud-ready network. The trial of the Nokia VSR platform is designed to demonstrate improved operational efficiency and faster creation and delivery of new services. The China Unicom trial involves using the VSR solution as a next-generation, virtualised broadband network gateway (BNG) to support residential subscriber management functions and advanced service capabilities. As part of its initiative to transform its metro service edge, China Unicom plans to migrate BNG services to the virtualised platform to gain the benefits of a cloud environment. The trial specifically includes Nokia's field-proven VSR designed for x86 server environments, with the vBNG functionality based on the Nokia Service Router Operating System (SR OS). Nokia VSR is designed to deliver a range of BNG service functions for an enhanced end-user experience, as well as providing high throughput. For the trial Nokia's VSR is also being used to deliver functions, such as network address translation (NAT) to facilitate the migration to IPv6. 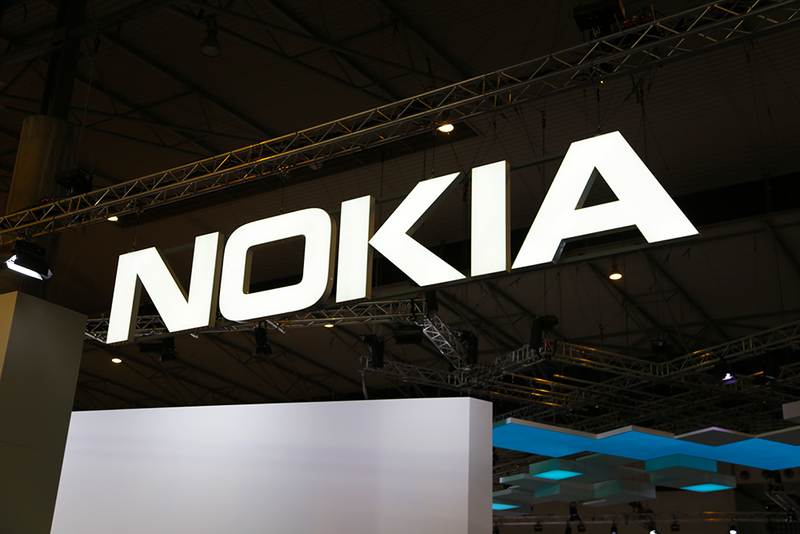 In September last year, Nokia announced the expansion of its partnership with China Unicom covering the supply of its high-capacity core router, the 7950 Extensible Routing System (XRS). Nokia stated that China Unicom had initially deployed the 7950 XRS into metro networks in six provinces - Beijing, Shandong, Jiangsu, Jiangxi, Inner Mongolia and Qinghai - and under the latest agreement planned to deploy it in an additional four provinces, namely Heilongjiang, Henan, Zhejiang and Hunan, to improve services for fixed and mobile broadband subscribers. China Unicom is one of the world's largest mobile service providers by subscriber base and an active member of the CORD (Central Office Re-architected as a Datacenter) project, which combines NFV, SDN, and the elasticity of commodity hardware to create a transformative network platform. In this video, Pingping LIN, M-CORD Technical Leader at On.Lab, interviews Dr. Xiongyan TANG, Director of Network Technology Research at China Unicom. 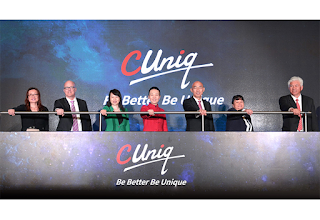 China Unicom Launches "CUniq" MVNO in U.S.
China Unicom Global Limited launched its "CUniq" mobile virtual network operator ("MVNO") business in the U.S. market. A similar "CUniq" MVNO was launched in Europe in December 2016. "CUniq" is an overseas mobile communication service created for international business travelers. The service expands on the basis of "CUniq UK" one-card-multiple-number service that shares data in 45 countries and regions, "CUniq US" one-card-multiple-number card service raises the numbers to 47, providing 4G high speed network service among the main countries and regions of China, America, Asia and Europe. Customers are able to keep Mainland China, Hong Kong (China) and the US mobile numbers, which can be managed using a single account. Customers can use data, voice and SMS services in different countries, contact China Unicom's 24/7 trilingual customer service (Chinese, English, Cantonese), and enjoy a smooth, joyful global communication experience. "CUniq" MVNO business launch ceremony was held in Los Angeles. Liu Haiyan, Economic and Commercial Counselor Consulate General of the People's Republic of China in Los Angeles; Marissa Rivera, Representative of Economic Development, County of San Bernardino; Sherman Zhang, Chairman of CGCC-LA(CEC) & President of AVIC International USA; Richard Pelly, Vice President of sales and business operation of Plintron; Meng Shusen, President of CUG and Zhou Lisong, Executive Vice President of CUG jointly officiated the ceremony. 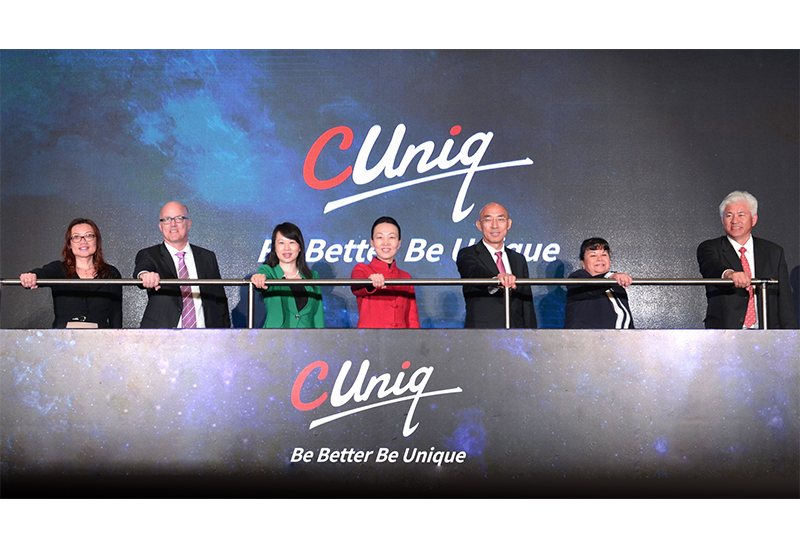 Shusen Meng, President of CUG, said the cooperation between CUG and American leading telecommunications operators not only provides high-quality service for business enterprises, but also provides high-quality overseas MVNO business through "CUniq" for the public users. CUG will continue to drive innovations and improve services, expanding high-quality service to more countries and regions. Radisys and China Unicom are partnering to build and integrate Mobile CORD (M-CORD) development PODs that use open source software. M-CORD, built on top of ONOS and the CORD (Central Office Re-architected as a Datacenter) open source project, combines data center economics and the agility of the cloud with the benefits of a virtualized and disaggregated mobile core, as well as access infrastructure and mobile edge computing for innovation and deployment of 5G services. Under the partnership, Radisys, acting as a CORD systems integrator, will leverage CORD’s open reference implementation to bring China Unicom’s network cloud agility and improved economics. The companies will work together to develop deployment scenarios for this solution in China Unicom’s network. Radisys said M-CORD makes mobility more cost-efficient, more software-programmable and more cloud-elastic. The emerging platform is seen supporting 5G services in three key areas: mobile edge services, virtualized Radio Access Network (RAN), and virtualized Evolved Packet Core (EPC). Additionally, Radisys and China Unicom will develop together an open reference implementation of a virtualized RAN (vRAN) and an open reference implementation of next-generation mobile core architecture with observability and analytics. Radisys and ON.Lab will demonstrate M-CORD use cases running on commodity hardware and on DCEngine at Mobile World Congress, February 27-March 2 in its Booth 5I61 in Hall 5. Cavium announced an agreement with China Unicom to accelerate the design and development of Virtualized BBUs based on Cavium's ThunderX workload optimized data server processors, which are built on ARM architecture. In addition, Cavium has joined the China Unicom CORD Industry Alliance and will drive adoption of open source architecture and technologies in China together with China Unicom. The companies said they plan to work together on new innovative fronthaul solutions, system architecture and vBBU performance and deployment. This collaboration allows Cavium to align with China Unicom's commercial networks technology development and innovation, research feasibility of Next Generation Virtualized Wireless Access Network, perform lab and field testing, evaluate results, drive deployment of developed technologies into commercial network, carry out lab and field performance test and assessment, accelerate pilot and application of new technical innovations in real-world networks. "We are very pleased to collaborate with China Unicom in this critical area. As network capacity continues to be stretched and the user demands continue to grow the industry is faced with significant challenges which cannot be solved by traditional means," said Raj Singh General Manager of the Wireless Broadband Group at Cavium. "The use of advanced general purpose hardware such as Cavium's ThunderX workload optimized data severs allows us to provide a highly scalable virtualized solution for these requirements."